Wow! It has been forever since I have been able to play with my pretty papers, stamps, and bling. I've had a lot going on in my personal life with personal illness and family illness. Things are finally starting to settle down again. Praise the Lord! 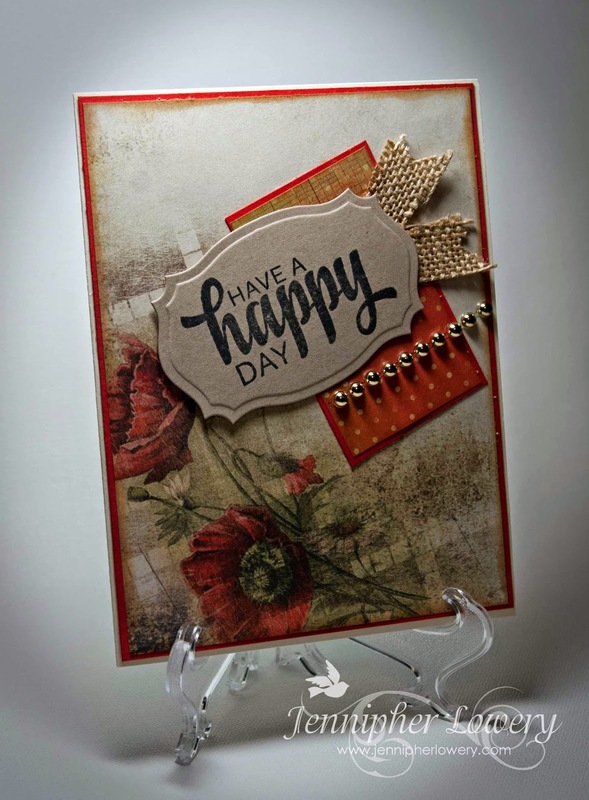 I'm here today with a card I created inspired by Viva la Verve May 2015 Week 4 Sketch. I was super excited when I saw this Viva la Verve Sketch! I just love me some tilted panels! I know it freaks some people out when they see a tilt but, I embrace it. LOL. However, I cannot tell a lie, it took me forever to put together this clean and simple card. It's hard to resist the urge to keep adding to the design. My little banner flags were die cut with some burlap which is new to me and I think I'm gonna love trying that in some other ways. Thanks for stopping by today. I hope you and your loved ones have a very blessed Memorial Day! What a gorgeous card! The DP you used is wonderful, and the sketch is so fun! I LOVE tilted panels too! Happy to see you stamping again! Wonderful to see you crafting again Jennipher. This is beautiful, especially your background stamping. Such a beautiful card, Jennipher! 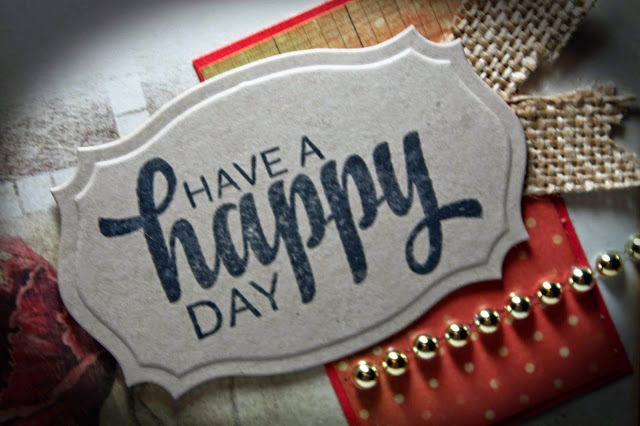 Your die cut sentiment panel and your burlap banners look gorgeous over this stunning designer paper!! I am thrilled that you are finding time to create again and delighted that those you love are on the mend! Oh Jennipher - this is beautiful!!!! I love the burlap touch and that paper - WOW! So glad you have found time to craft again...and that life is settling down....Continuing to pray for you and your family! It's good to see you back again, and what a wonderful card to make your entrance! I love those burlap banners - what a fabulous look! TC of yourself and I hope you and your family all return to good health soon! So wonderful to see you creating! And, WOW- your MoJo is on fire! This is one amazing card- the Poppies DP is soooo pretty! Love your interpretation of the sketch- the burlap is such a great textural accent! wow, your Mojo is on fire. Stunning card. Lovely card, hope your doing well. So pretty, Jennipher! Love those little burlap flags and I need to dig through my stash, because I KNOW I have that paper here somewhere! :) Thanks for joining in the fun at Viva la Verve!